LNK-GYM7816GP-SFP Series is a new generation industrial Power over Ethernet Managed Ethernet switch with 16-Port 10/100/1000Base-T 802.3at PoE+ and 8-Port 100/1000Base-X SFP that provide stable and reliable Ethernet transmission offered by E-link, with high quality design and reliability. 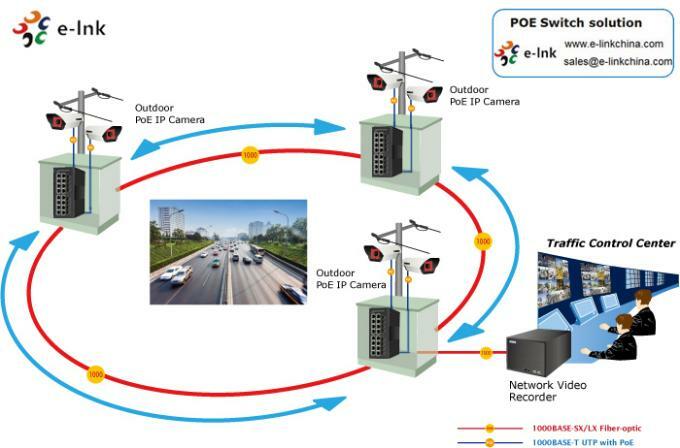 It is positioning in the broadband network intervention market, to offer and realize Ethernet data exchange, convergence and long-distance optical transmission with efficient bandwidth and reliable fiber optic network solutions for users. 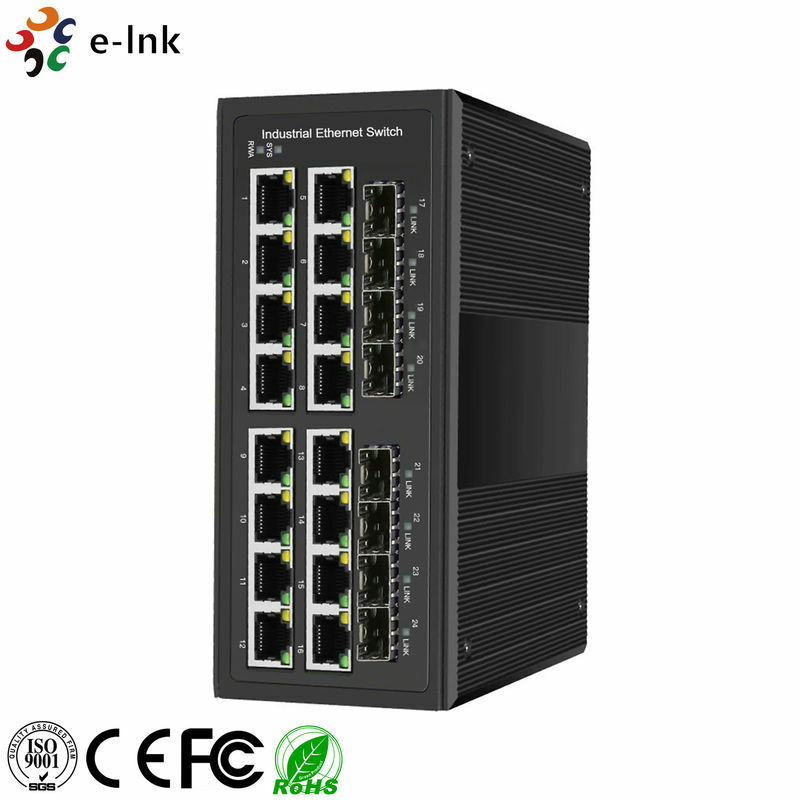 The industrial switch complies with various characteristics such as mini size, no fan, low power consumption, high reliability and stability, and easy to maintain. 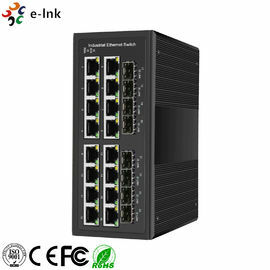 With dual power input design, LNK-GYM7816GP-SFP can offer redundant mechanisms for critical applications that need always-on connections. It can also operate either at standard operating temperature range -40 to 80°C. Housed in rugged DIN rail or wall mountable IP40 enclosures, these switches are perfect choices for harsh environments, such as industrial networking, intelligent transportation systems (ITS) and are also suitable for many military and utility market applications where environmental conditions exceed commercial product specifications. Power Options ►480W/10A 48VDC DIN-Rail Power Supply. Open Wire for Terminal Block.